Did the London 2012 Olympics boost the British economy and make us all happier? As a researcher of the use of sport events and stadiums in regeneration projects I was interested in a recent graphical representation of how special events are linked to UK Gross Domestic Product (GDP) put out by the Office for National statistics (ONS). The representation showed a sharp spike in GDP at the time of the London 2012 Olympics and Paralympics. There has been a long-running debate within sport management about whether or not hosting major sporting events can have an impact on local or even national economies. At first sight this ONS graphic, together with its accompanying text, sets out a very positive case for the 2012 Olympics. The highest growth for nearly seven years in the UK was recorded in the third quarter of 2012 when it increased by 1.1% over the previous quarter. This included increased output in the food and beverages industries, accommodation, employment agencies and creative arts and entertainments. Was this conclusive evidence for the economic impact of a major sporting event? Further explanatory details were provided by a separate ONS document. Due to an additional day of holiday in June for the Queen’s Diamond Jubilee, there was one fewer working day than usual in the second quarter. This was estimated to have shaved 0.4% off growth in that period with a ‘bounce-back’ of the same amount in the third quarter. 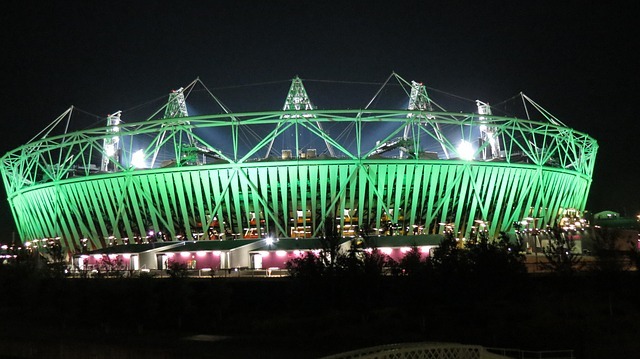 Another relevant aspect was that the sales of Olympic and Paralympic tickets, clocked up over a long period before the start of the Olympics and totalling £580 million, were all allocated to the third quarter of 2012. This figure contributed 0.2 percentage points to overall growth. It should also be noted that the same document details a drop in tourism in this quarter, with a significant dip in numbers visiting London. Far from the conclusive evidence that might have been imagined from the graphical representation. However, there was some good news for those looking to stage major events and the local communities. A detailed report by Oxford Economics on the impact of the London Olympics suggested the event may increase residents’ happiness, which could translate into increased consumer spending. This claim was based in part on research linked to the 1996 Euro Championships in England. The report acknowledges that the evidence for such effects is mixed and no figures for increased spending around the London Olympics based on happiness have been found. Researchers from the LSE did find that Londoners were significantly happier during the Games compared to Parisians and Berliners, but that levels of happiness returned to normal the following year. More critically, researchers in the USA have argued against the use of “psychic income” (emotional and psychological benefits for residents related to sporting events) to support public subsidies for stadiums or events, with the concept being used as the “new frontier in subsidy apologias”. The arguments over the economic and psychic benefits of holding major sporting events are likely to continue. Listen to Mark in a discussion on Sports stadiums on the Birkbeck Voices podcast. Category: Business Economics and Informatics Tags: economics, happiness, Olympics, sporting events, sports by Bryony.